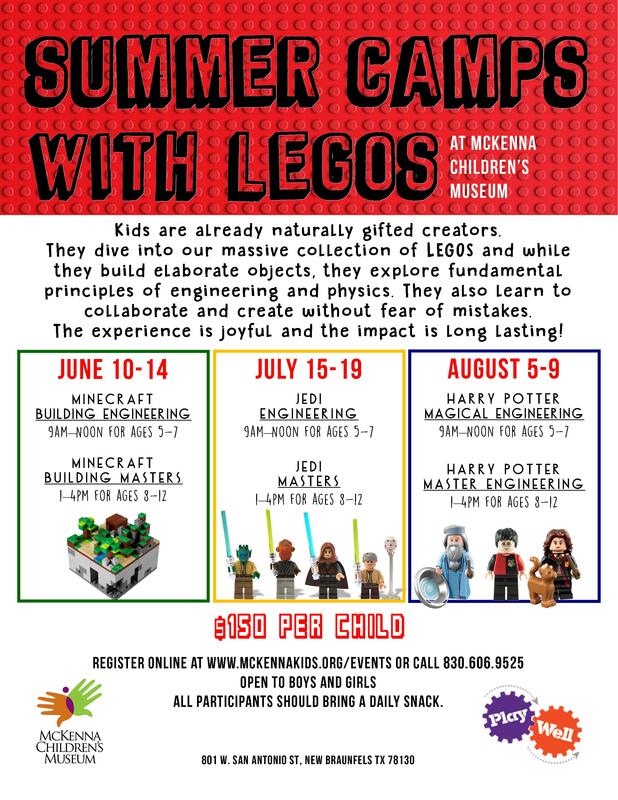 McKenna Children’s Museum Summer Camps with LEGOS! Kids are already naturally gifted creators. They dive into our massive collection of Legos and while they build elaborate objects, they explore fundamental principles of engineering and physics. They also learn to collaborate and create without fear of mistakes. The experience is joyful and the impact is long lasting!